Resilience to cyber-attack has become an important acceptance criteria for customers to base product selection on. Until now there hasn’t been an independent validation for both product and business practices designed to address the cybersecurity readiness of physical security products. When Underwriter Laboratories (UL) introduced the UL 2900-2-3, Tyco Security seized the opportunity and became the vendor to submit a product (namely, the VideoEdge Network Video Recorder) to undergo this new certification. On March 22, 2018, VideoEdge version 5.2 became the first product to obtain UL 2900-2-3 Level 3 (L3) certification. With this new cybersecurity certification comes added benefits for the customer. Cybersecurity certification that is specific to Electronic Physical Security products. The added assurance that is gained when a product is measured against an established product baseline for cyber protection. A common criteria for cybersecurity that can be used for product selection. The proven quality and trust that UL certifications are globally recognized for. The piece of mind that customers have when they take an important step towards protecting their business against the modern reality of cyber threats. What is UL 2900-2-3 cybersecurity readiness certification? UL 2900 is a series of standards that provide testable software cybersecurity criteria for network-connectable products. This series addresses specific types of products with the UL 2900-2-3 Standard specially addressing Electronic Physical Security systems. Other standards in the UL 2900 series address healthcare systems and industrial control systems. Within UL 2900-2-3 there are three levels of certification. Level 1 (L1) is the minimum level of assessment and validates the fundamental requirements. Level 3 (L3) provides an assessment of security capabilities of a product with knowledge of internal security controls of the product and knowledge of the business practices of the vendor to support the lifecycle of the product in addition to the L1 and L2 requirements. The UL Cybersecurity Assurance Program (UL CAP) for electronic physical security systems assesses product compliance against the UL 2900-2-3 Standard. This program was developed with input from the U.S. Federal government as well as other major stakeholders from academia and industry. Why did we choose UL? While other cybersecurity certifications are available, the UL 2900-2-3 compliance standard is specific to electronic physical security products and UL, as a testing company, is globally recognized with experience promoting safe environments since 1894. The range of products that can be addressed with UL 2900-2-3 includes the range of systems that are offered by Tyco security including surveillance cameras, emergency communications systems, intrusion detection systems and access control systems. Under the Tyco, Cyber Protection Product Security Program, we are focused on enhancing the cybersecurity of our products, so partnering with an industry known company to certify our practices is another way we can bring peace of mind to our customers. 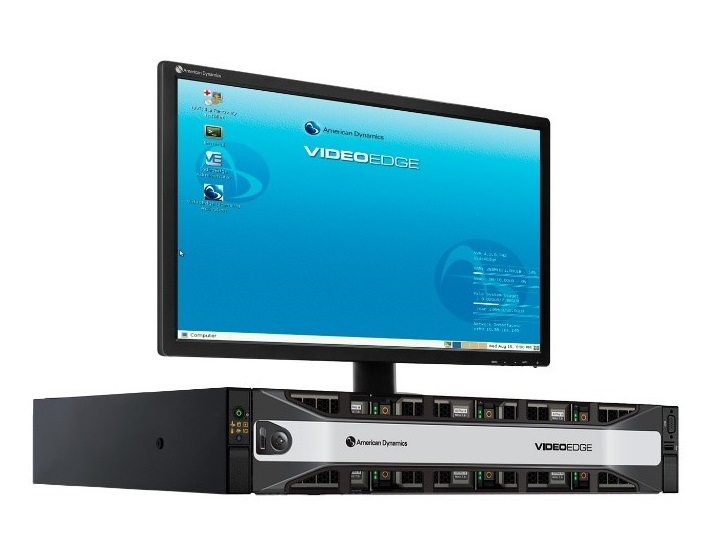 VideoEdge network video recorders are available with a full range of appliances to manage surveillance in comprehensive environments both on-site and remotely. Maintain dozens cameras per network video recorder with capabilities for both IP and hybrid installations. The flexibility of VideoEdge provides users with powerful analytics to gain employee and consumer information that aid in forensic investigation or business intelligence. The powerful VideoEdge NVR platform was developed under the Tyco, Cyber Protection Product Security Program which combines secure product development, testing and evaluation, and configuration guidelines for compliance. This holistic cyber mindset begins at initial design concept, continues through product development, and is supported through deployment, including a rapid incident response to meet the comprehensive and evolving cybersecurity environments. Through the rapid incident response service, a dedicated cybersecurity team quickly assesses new threats and vulnerabilities and advises customers on how they may reduce their cybersecurity exposure. For more information on the VideoEdge network video recording solution, please click here.